Betsson – Call of Casino! Heed the call for daily offers! The party has not ended as Betsson extended its daily deals by another week. Players from Finland, Germany, Iceland, Netherlands, Norway, Poland, Sweden and Switzerland can look forward to more daily Free Spins, Bonuses, Mission or Guaranteed Share Tournaments and a generous Cashback, all for just playing on some great slots. Heed the call! 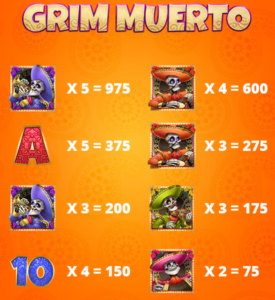 Join the fiesta by clicking the “Enter Mariachi Tournament” button on the promotion page, then spin the golden reels on Grim Muerto from Play’n GO to complete the achievements shown in the left-hand image to collect leader board points. If you can beat the challenge and climb to the top 100 on the leader board by midnight tonight, you will be in for a bonus prize by 18:00 CET tomorrow. Make sure to OPT-IN first before depositing or starting your play. All bonuses, except the cashback and the tournament prizes, are instantly credited the soon the conditions are met and are subject to standard wagering requirements. Free Spins and Bonuses have a 35x wagering requirement within three days. 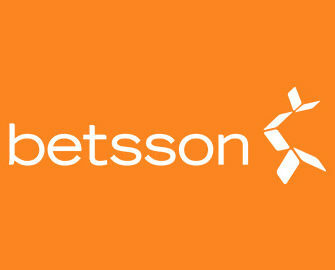 Betsson Bonus Terms and Conditions apply, always read them carefully. Launched in 2001, the casino is operated by BML Group Ltd. and holds MGA Malta and UK licenses. 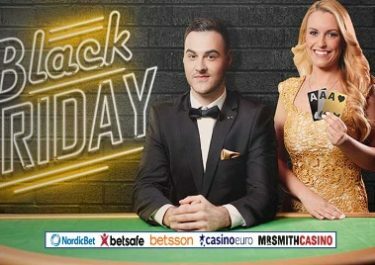 Betsson offers Sportsbook, Poker, Bingo, Scratch Cards, Games, Casino and Live Casino with games from acclaimed suppliers such as Netent, Big Time Gaming, ELK Studios, Jadestone, Microgaming, NextGen, NYX Interactive, ONgame, Play’n GO, Quickspin, Realistic Games, Red Tiger, Thunderkick, Williams Interactive, Yggdrasil as well as Evolution Gaming and NetEnt Live for their Live Casino tables. The website is available in a staggering 18 languages and customer support provided 24/7 via Email, Live Chat and Phone.